Welcome to amazing episode of what I made for Monday. On Tuesday. Say hello to Salted. Caramel. Shortbread. It's amazing for little effort. Amazing. Let's get to it. Line an 8 by 8in pan with parchment. Don's skip this part. 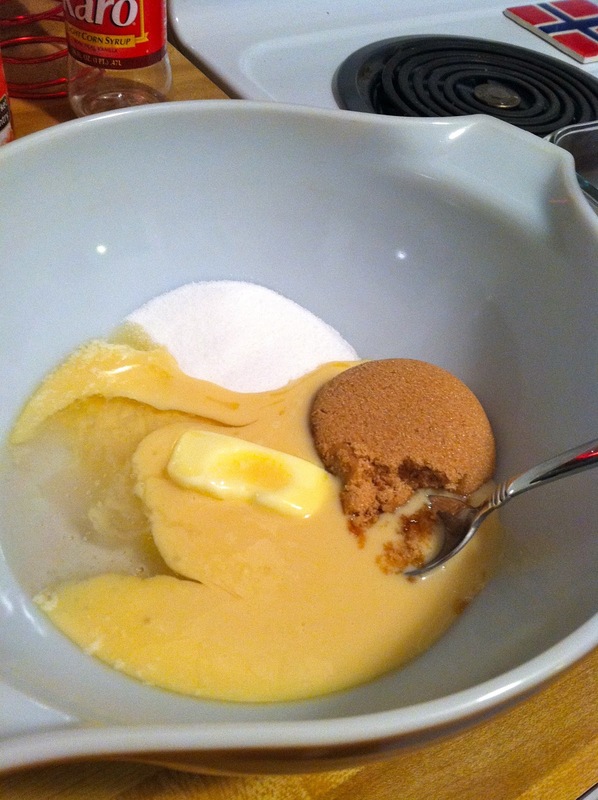 Mix together the first three ingredients. Then the yolk. Then the flour. When it's all mixed up well, press it into the bottom of the pan. Bake at 350 for 20-30 minutes until light golden brown. While it cools do the next part. The even easier part. Combine them all together in the LARGEST BOWL YOU CAN FIT IN YOUR MICROWAVE. 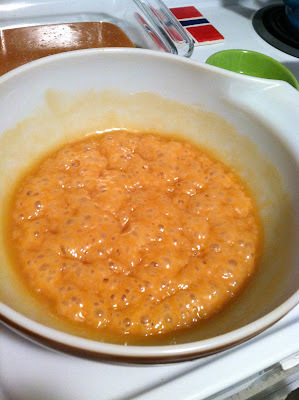 Cook for 2 minutes and stir. Cook for two more minutes and stir. Cook for two more minutes. Allow to cool slightly and pour over shortbread. Sprinkle sea salt on top. 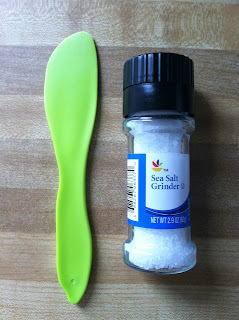 Here's the sea salt I used and the tool I found best to cut them into small 1in squares. 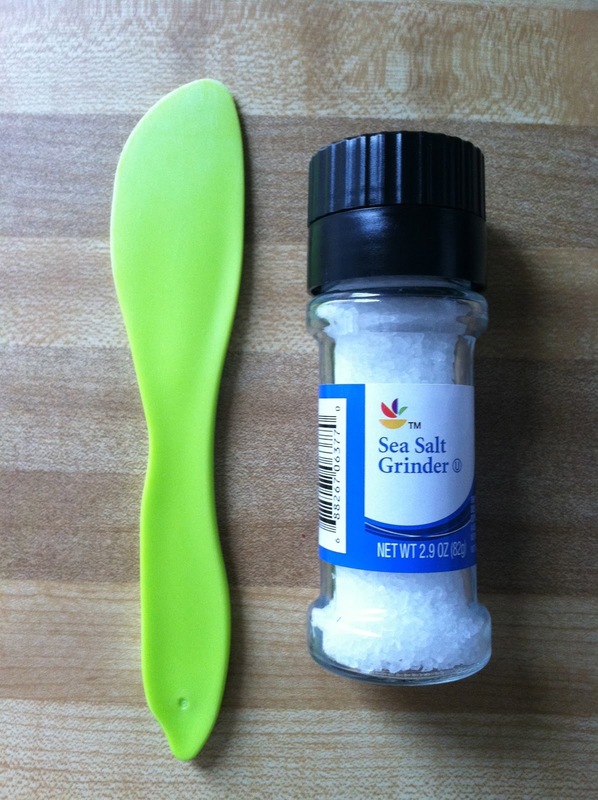 It's technically a spreader of some sort that I got from a local cooking store but I found that a strong plastic "knife" was the best way to cut them. Before they harden up TOO much. If you wait too long to cut them you will crumble the shortbread. Store in an air tight container. If they make it that far. Enjoy! Thanks to lovely Beth for the inspire. mmmmmmmm......add some pecans and they will taste like the salted caramel shortbread squares from SB!! Oye, is that the best treat evah!! Great recipe. I love carmel! Yum! These are like my two favorit sweets! I will definitely be trying this soon :) Thanks for posting! These look soooooo GOOD ! I made these a few days ago. My husband and I pretty much finished the entire pan...I took the remaining bit to small group. They were a bit miffed that there wasn't more. Thanks for sharing this recipe!